Write Stuff: Can we be AAPtimistic? "To endeavour to understand the India of today would be the task of a brave man. To describe tomorrow's India would verge on madness" - so said Jawaharlal Nehru, in the Maulana Azad Memorial Lecture, 1959. What foresight! The first Prime Minister was able to predict his own party's realistic future. The most visible Indian movement in 2013 was the anti-corruption movement. 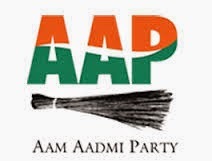 The Aam Aadmi Party (AAP) showed that “winnability” in politics can be redefined. By their resignation in Delhi, AAP unequivocally displayed that they will not compromise in their fight against corruption. AAP can more be identified as a cohesive anti-corruption movement, capable of commanding greater support from the aam aadmi, slowly but steadily. The depth of corruption has made the common man to raise his head and look up at the emerging party, the AAP, beyond the usual considerations of religion, caste, money, and muscle power. Corruption has become an overwhelming attitude and way of life and India definitely lacks grooming and character-building methods. Clean politics and good governance appear impractical words for the two so-called national parties. When a scam is exposed, Congress says, "It's rubbish…there is no loss to the government." BJP says, "We won't let parliament function...Congress is corrupt...vote us in for a Congress-free India." BJP keeps mum till the corruption is exposed; then it starts the blame game. AAP says, "We have filed FIRs...investigation will follow…passing a strong Lok Pal bill... giving more power to the people...AAP is only for a corruption-free India." All scams of the Congress are not possible if BJP does not extend its tacit support. We have consistently tolerated the Congress party for nearly six decades. 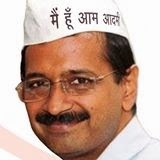 Arvind Kejriwal, an IIT-pass out, a pioneer of the Right To Information (RTI) Act, has the ability to identify himself as the common man next door, that someone every Indian seemed to have met in a bus or on a train – basically a reflection of you and me. AAP has a lot more jobs to do. They have to face not only corrupt politicians, but they also have to handle criminal politicians; in which case, they must be prepared to face worse opposition. Gone are the days of perfume spray, they are now replaced with “pepper” spray. One should be grateful to the “pepper” MP for not carrying a hand-gun. To blow up parliament, we don’t need terrorists from across the border. We are ‘self-sufficient.’ The sanctity of the House has been routinely violated. Over 70 lakh crore rupees (about US $ 1,500 billion) of unaccounted Indian money are lying in numbered accounts in Swiss banks. This is the highest amount lying outside any country, from amongst the 180 countries of the world, as if India is the champion of Black Money. Swiss government is willing to share the information if the Indian counterpart officially seeks the details. Neither the ruling Congress nor the BJP (Opposition?) shown any serious interest as if the problems pertained to some other country, obviously because most of the amount is owned by the politicians of both Congress and BJP. The interest on the stashed booty alone can take care of our annual budget, year after year. India has more in Swiss banks than all the other countries put together. What is transparent is that AAP is not desperate for power unlike other major political parties. They are willing to be an effective AAPosition. They are in the process of changing the politics in the country purely based on the promise to remove corruption. They are fighting the electoral battle without Black money and muscle power. Some small aberrations, part of the political process, will pale into insignificance when compared with the Himalayan blunders of the traditional parties, more so reported in recent years. AAP has categorically demonstrated that it can cut into the votes of Congress & BJP. AAP frankly admits that they cannot make a dramatic change at the national level overnight, but they certainly can decimate the Congress. Though new, untried, and untested, Kejriwal’s unconventional brand of politics has become a thorn in the flesh of both the Congress and the BJP. Soon after its spectacular showing in Delhi elections, the evolving-AAP had made it clear that it had national ambitions and would contest the Lok Sabha elections. Elections in India are won based on speeches, allegations, and counter allegations. Government is run on experience, and it takes years to learn the niceties of governance. Kejriwal may be honest, but in politics, dishonest people are usually more successful. This is a new freedom struggle for India! Expectations are high. And we have an interesting party to look out for! AAP doesn’t have a magic wand, but definitely a broom which seems to scare the other mainstream political parties!